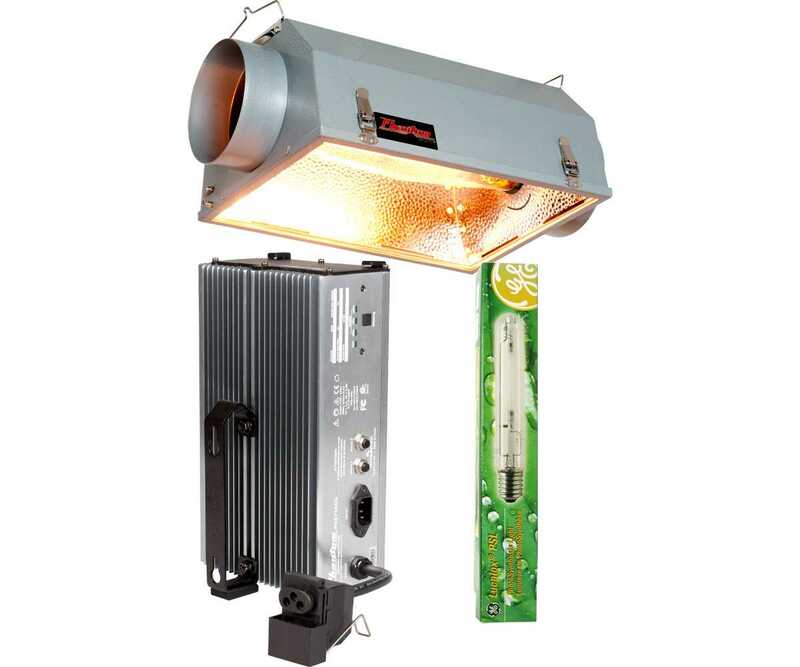 This system combines our Phantom 6" air-cooled reflector with a Phantom 750W dimmable 120V/240V Digital Ballast and a GE LucaloxÂ® 750W High Pressure Sodium lamp. The Phantom 6" AC reflector delivers a large footprint of usable light while keeping your growing area cool. The Phantom Digital 750W Electronic Dimmable Ballast is part of the most reliable ballast line on the market. Phantoms feature silent operation, lightweight design, and maximum lumen output. The Phantom is also the only ballast on the market designed for vertical or horizontal operation. GE's Lucalox PSL HPS lamp offers improved reliability and is specifically designed for horticulture applications using their XO technology. Note: When using at 240V, do not use with timer TM01240, also known as the Intermatic HB112. You must use the TMHDT104, or a lighting controller such as the APT0082.